Home > Monthly #78 - 'Tis The Season Competition > Ding Dong Merrily! 'Tis the season when every town and village has Christmas Markets.... or as here, a Marché de Noël... with a team of people singing to entertain the crowd. This is a mixed group of English, French, Scots and French Canadian... but all locals who don't go back to Blighty, or vanish to the French Colonies for winter. There are women in this bunch of merry carollers as well... all in Victorian dress. 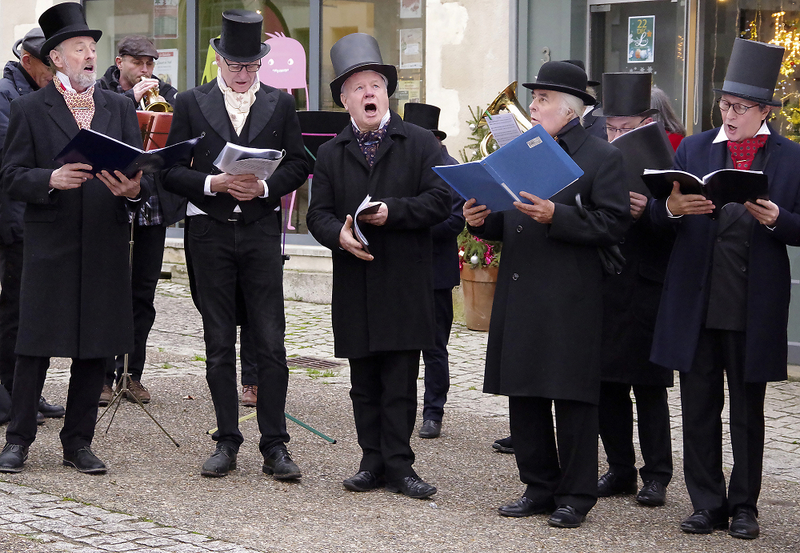 It has become so popular that they have sung at four Christmas markets and two OAP's homes this year. The musicians are two English [now also French citizens, thanks to the Brexit shambles] and two German... one of the ladies is American, one Australian.... so very cosmopolitain! !